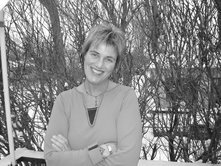 Suzanne Nielson, our first Feature Poet, is a native of Minnesota, holding a doctorate from Hamline University. Her poetry is unique; her style distinct. Suzanne's work appeared in our September, 2008 issue; several new poems are included in this month's current issue. Check out her poetry, and our interview with this engaging poet.